Revolution was Inspired by political protests in early 1968. 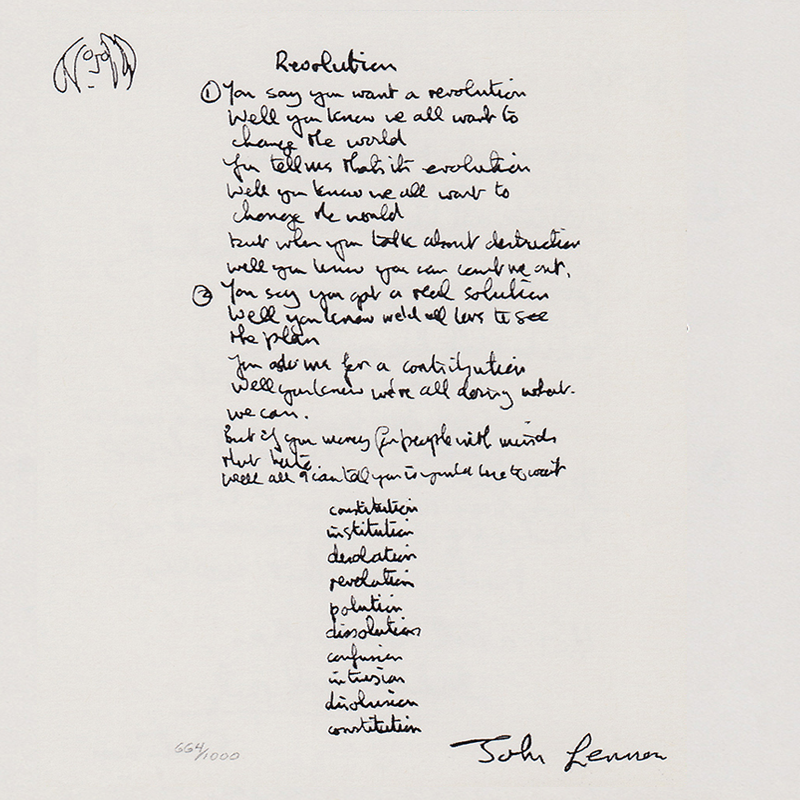 John Lennon's lyrics expressed doubt in regard to some of the tactics of the protest movement. Three versions of the song were recorded in 1968: Two were included on the Beatles album (also known as the White Album) and the other was released as the B-side of the "Hey Jude" single.